Product #6030 | SKU DIB-443 | 0.0 (no ratings yet) Thanks for your rating! 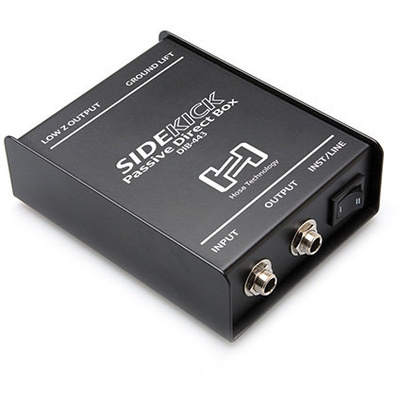 Use the Sidekick to “go direct” for a pure, clean, noise-free tone that is perfect for Digital Signal Processing (DSP) or throw the INST/SPKR switch to SPKR position to allow your amp to drive the line for a natural, overdriven tone. Either way, it's your sound - all of it!